Donaghey Scholars are well-recognized by university, state, and national awards for excellence. Scholars have won Truman, Goldwater, National Science Foundation, Rotary, and Fulbright scholarships. The first female Rhodes Scholar in the Arkansas competition’s history was a Donaghey Scholar (1996). Arkansas’ first Mitchell Scholar was also a Donaghey Scholar (2002), and, in recent years, nearly half of the state’s finalists for the Truman Scholarship have been Scholars. UA Little Rocks’s Whitbeck Award for outstanding graduating senior has gone to a Donaghey Scholar for 22 consecutive years. 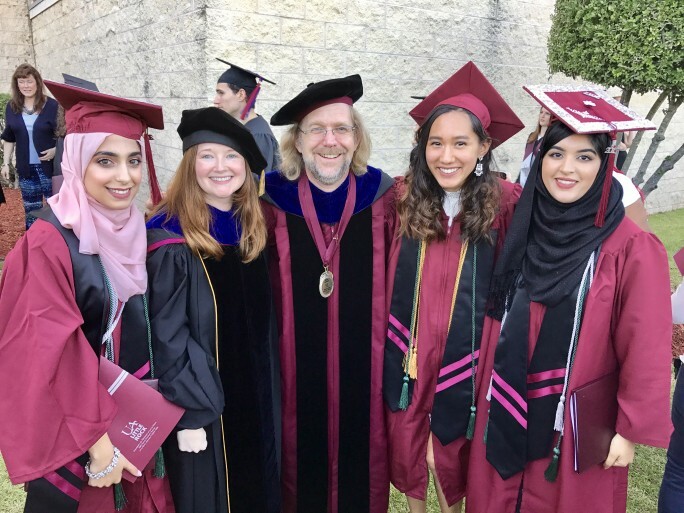 In addition to these prestigious honors, Scholars have exceptional records of graduation from the Program; nearly 80 percent of students complete the Program, and many of the remainder graduate from UA Little Rock. More than two-thirds of Donaghey Scholars go on to such prestigious graduate schools as Harvard, Yale, Rice, Stanford, the London School of Economics, Notre Dame, and others. For those interested in a career in medicine, Scholars can also boast of a greater than 90 percent acceptance rate into medical school. Finally, it is not only the students who are distinguished. Donaghey Scholars faculty are among the finest at the university. Program faculty from diverse disciplines have won university-wide Excellence Awards in teaching, research, and public service.